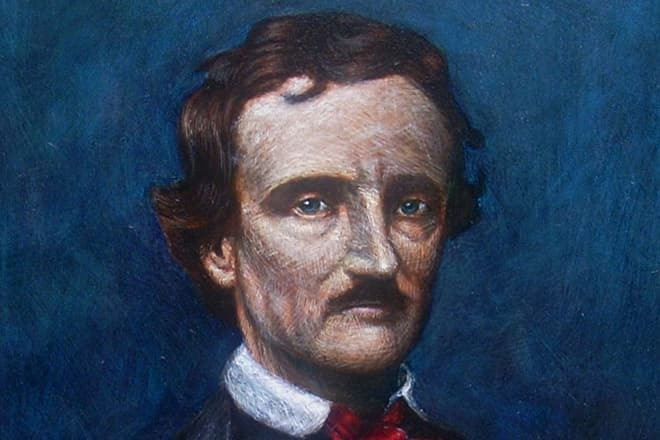 The writer Edgar Allan Poe is known as the predecessor of decadence and modernism, the writer whose works were marked with endless melancholy, and the creator of legendary dark, mystic-subtext stories. He was the litterateur who tried to guide his readers beyond trivial thinking limits and artistically explored the human intellect activities in his novels, philosophical fantasy, and rationalizations. The creation of the detective and psychological thriller genres was the writer’s great achievement. 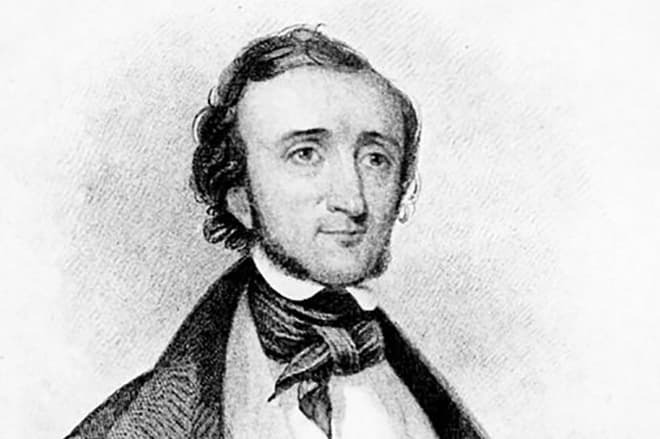 The best artists of the 19th century, for instance, the symbolists Charles Baudelaire and Konstantin Balmont, admired the realism of the “accursed poet’s” works that described emotional suffering and professionalism that gave Poe the opportunity to balance between the horror of life and joy of death. During the writer’s lifetime, those who appreciated thought imagery predicted the writer and his romantic suffering figure of a creator would go down in the history of the world’s literature. The future Howard Lovecraft’s spiritual guide was born on January 19, 1809, in North-Eastern America, Boston, Massachusetts. 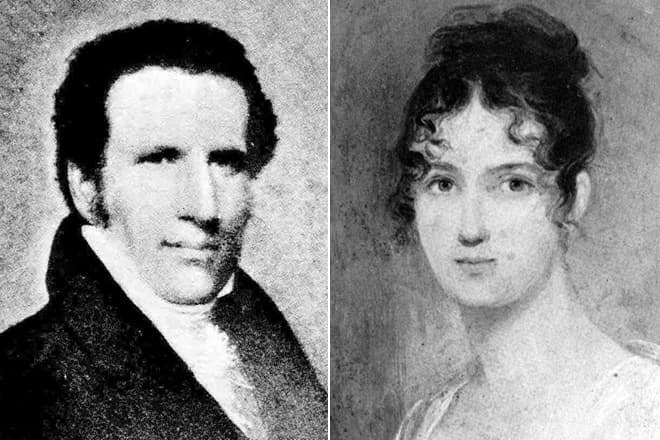 The poet’s parents Elizabeth Arnold Hopkins and David Poe were artistically talented people: the mother was an English actress who migrated to the USA, the father was a Baltimore student of a law school who preferred the acting career to the well-paid profession of a lawyer. 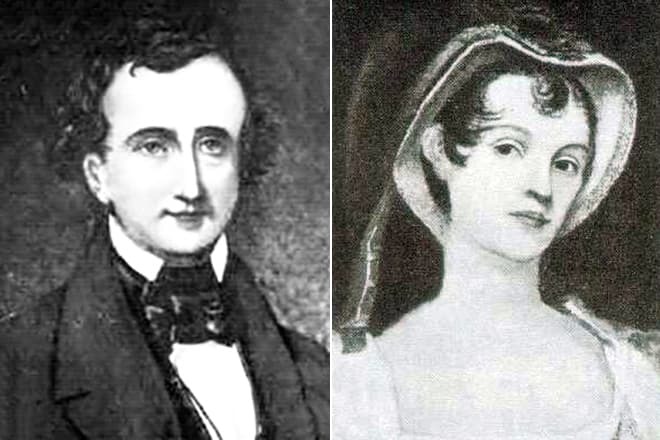 It is also known that the literary arabesque genius had two siblings: the elder brother William Henry Leonard (1807-1831) and the younger sister Rosalie (1810-1874). The father left the family when Edgar was only one year old. Since that time, there is no information about the man’s life. In 1811, the poet’s mother died of consumption. All three children were officially adopted. Edgar got into the family of the cotton and tobacco distribution company co-owner John Allan and his wife Francis. 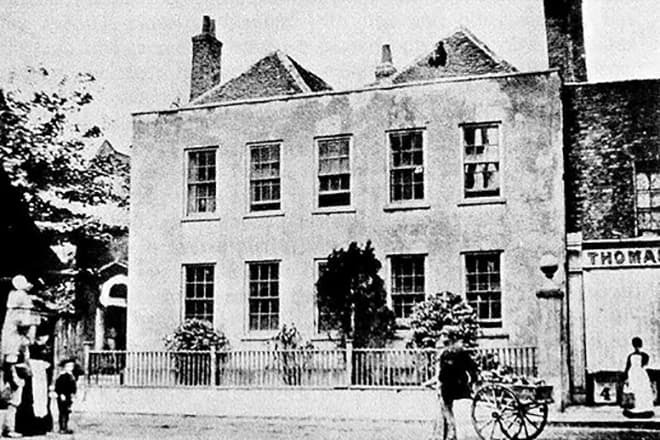 The couple was respected in the elite circle of Richmond where they lived before they moved to England. The boy who had never known warmth or tenderness found both in the new family. Francis adored Edgar and denied none of his wishes; she considered the boy to be her own son. John could not share his wife’s excitement: he did not comprehend why his beloved one preferred adoption to natural childbirth. Despite the merchant’s lack of understanding of some issues, he also took care of Edgar. In his childhood, Poe could have anything he wanted: there were no price limits set by the parents at that time. Edgar showed his abilities to studies early, and he went to school at 5. In 1815, the family moved to England for earnings. Poe was brought up by the rigorous English climate and equally rigorous English school traditions. When the teenager came back to America, he was a stronger and precocious person. 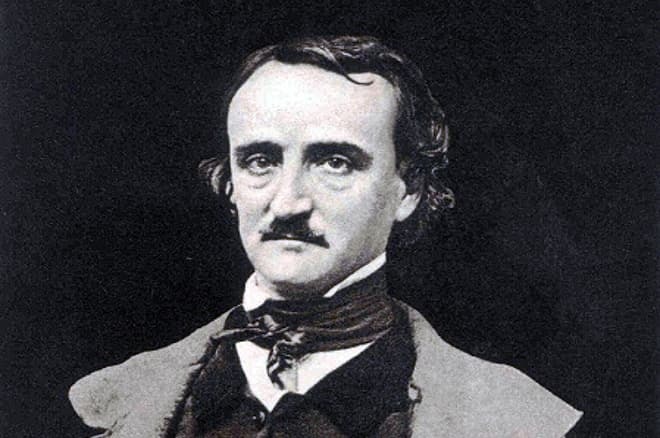 The knowledge Poe gained in the Old World helped him enter the local college in 1820 without taking pains. 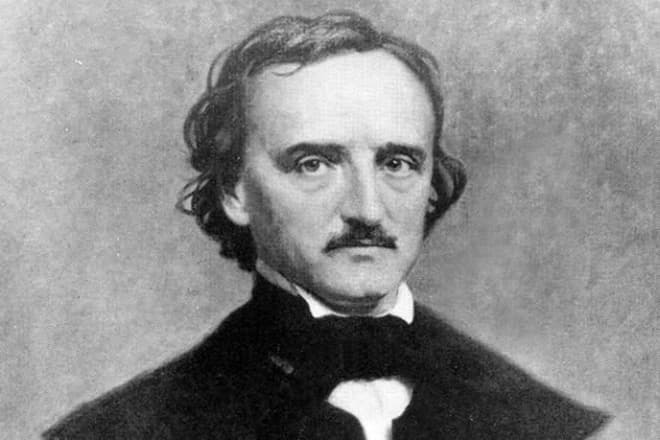 However, financial problems the family had to face in the motherland and periodic conflicts between Francis and John made a negative impact on Edgar Poe. The young man who used to be cheerful started isolating himself in his room and chose books instead of noisy peers’ companies. The period of the voluntary hermitage was marked with the new interest in poetry. Allan could not understand his foster son’s enthusiasm. Deprived of artistic perception, the father believed hard work at the family store would be the best option for Edgar since he could gradually earn the right on his own share in the business. As John and Edgar had quarrels related to different views on life, the man constantly reminded his adopted son he was completely dependent on him. As a college student, Poe fell over heels in love with his friend’s mother Jane Stanard. The aged woman and passionate young man’s contacts were limited to cultural meetings and talks all night long. 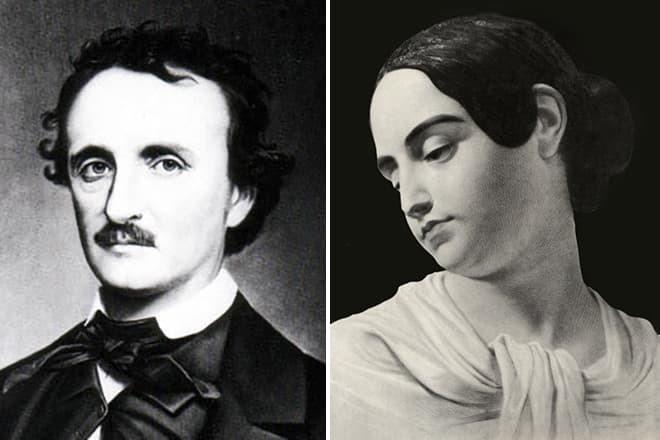 Later, Edgar devoted the poem “A Elena” to his beloved woman – that was how he called Jane. For the first time in his life, Poe was happy; however, he enjoyed the happiness of his mutual love not long. In 1824, Jane had meningitis, lost her mind, and died. Heartbroken, Edgar started having nightmares. The most frightening for the young man image was somebody’s stone-cold hand that seemed to touch his face in complete darkness. 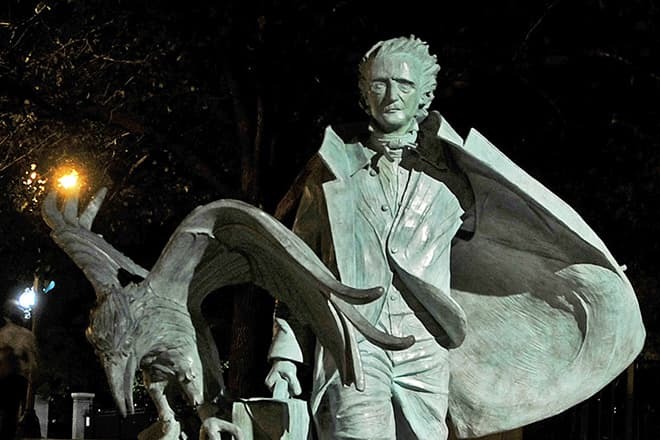 Poe’s vivid imagination immediately created the picture of a terrible, unknown creature’s face that was moving toward him in the pre-dawn shadows. As the writer’s biographers believe, this was the time the first symptoms of the man’s mental disorder began to manifest themselves. Later on, they transformed into frequent apathy, persecution complex, and suicidal thoughts. In spring 1825, the writer’s stepfather inherited $750 thousand from his deceased uncle and turned into one of the richest people in Richmond. Poe decided to take this opportunity and persuaded Allan to pay for his education at the University of Virginia. However, John became greedy as he grew older: instead of $350, he gave Edgar only $110. When the young man came to the university founded by Thomas Jefferson he found himself in the strange bourgeoise environment. Poe tried to behave the way rich young men and women did, yet his stepfather’s handouts were enough to pay for the room and nothing more. Edgar decided to earn by playing cards and worsened his uneasy situation even more. In December 1826, John Allan got Edgar’s numerous debt checks; he was furious. The man came to Charlottesville and told his son his university saga that had just began finished. Regardless of his academic success and passed exams, the young man could not continue his studies at the university. On December 21, 1826, he left it. This disgrace was hard for the beginning poet; besides, the father added fuel to the fire and accused the former student of irresponsibility every day. After one of such quarrels, he threw Edgar out of the house. 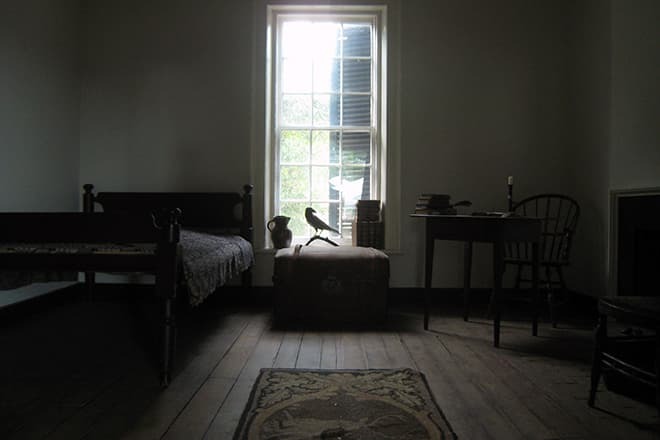 Poe found shelter in the tavern “Court-House” from where he wrote letters to Allan and continued to confront his stepfather in writing. Edgar stayed in the tavern for a couple of days and then went to Norfolk and Boston. In his home town, the writer met the young printer Kelvin Thomas by chance. 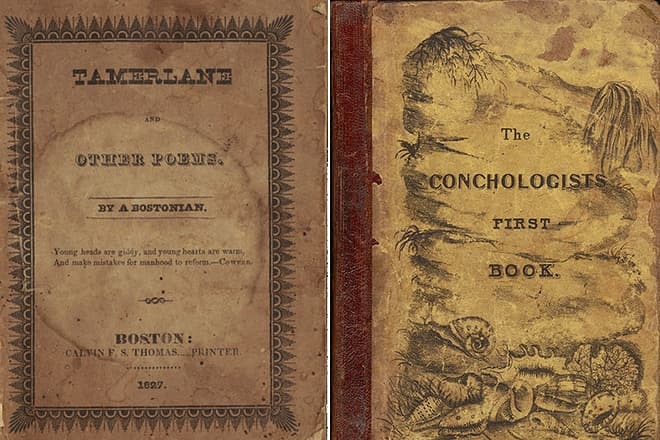 Thomas agreed to publish Poe’s first collection of poems “Tamerlane” which came out in 1827. In the book introduction, Poe apologized that his works were raw and explained he created these poems at the age of 12-14. In 1829, the second poem collection “Al Aaraaf, Tamerlane, and Minor Poems” appeared; in April 1831, the third book “Poems” where some works unpublished before (“Israfel,” “Paean,” “The Doomed City,” “A Elena,” and “The Sleeper”) came out. 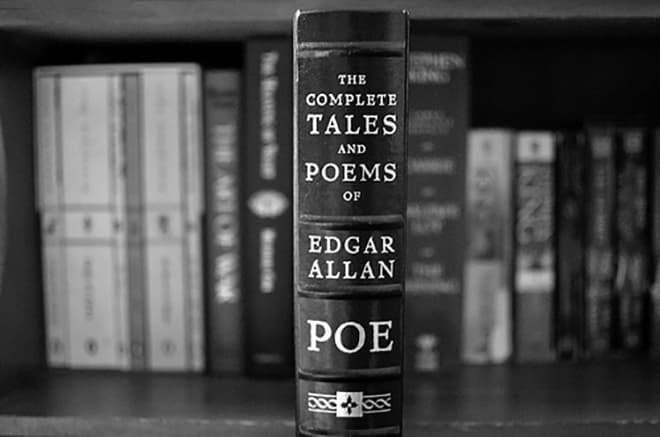 Published in early 1845, “The Raven” was successful enough to let Edgar the chance to gather his new poems in the new book “Tales” in the same year. It is peculiar that Allan’s artwork was focused on the genre of novella in the first instance. His novellas may be subdivided into several thematic groups: psychological (“The Black Cat,” “Ligeia,” “The Cask of Amontillado,” “The Oval Portrait”), logic (“The Gold-Bug,” “The Murders in the Rue Morgue,” “The Mystery of Marie Rogêt,” “The Purloined Letter”), humor (“The Spectacles,” “Loss of Breath,” “The Thousand-and-Second Tale of Scheherazade”), and sci-fi (“The Unparalleled Adventure of One Hans Pfaall,” “The Sphinx,” and “The Balloon-Hoax). The four logic works by the writer where the detective Auguste Dupin was the main character started the epoch of the detective literature. Edgar’s protagonist became the prototype of many famous detectives: Sherlock Holmes, Hercule Poirot, and Miss Marple. Although short stories and novellas made the writer popular, he could express the real self only in poetry. 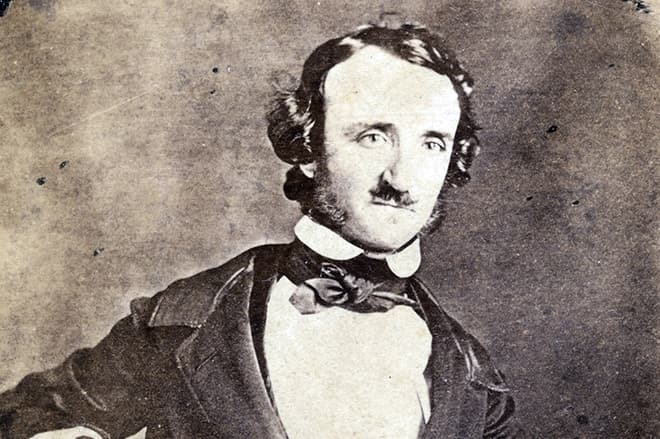 Poems helped Edgar Poe to establish a closer contact with readers. The writer met his first and only wife the year when his stepfather banished him from the house. As the man’s aunt Clemm learned he nephew had no place to live, she gladly hosted him in her real estate in Baltimore. At that period, melancholic Edgar and kind-hearted Virginia fell in love with each other. The marriage took place on September 12, 1835. The ceremony was kept in secret. Edgar was 26, and his beloved one was only 13, and Missis Clemm’s relatives did not support this marriage. They believed that it was wrong to deprive Virginia of her childhood by the marriage to the idler (poetry was not seen as a respectable occupation for a man). Misses Clemm had a different opinion: she realized Edgar was a genius from the very beginning and knew her daughter could have no better husband. Virginia became Poe’s guiding star who inspired him to create many outstanding works. The young woman loved her Eddie so much that tolerated the poverty that their family could not get rid of and her husband’s ill temper. However, Edgar had also some weird connections to his wife’s well-being and mood. When Poe’s wife died of tuberculosis in January 1847, the writer sank himself into prolonged depression. The widower preferred alcohol to work and other women – only it could help the man forget the horror he had survived for a while. 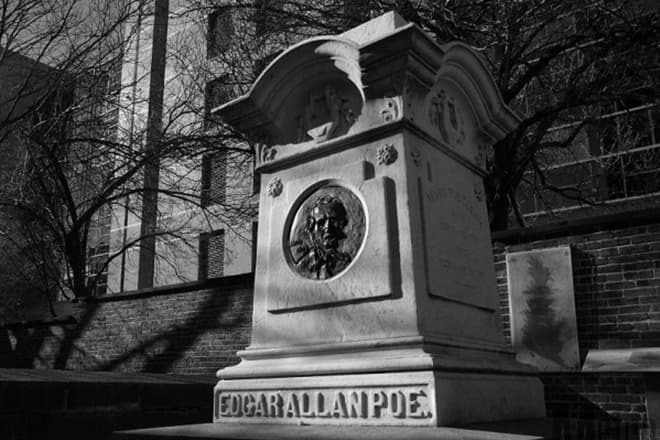 Edgar Allan Poe died on October 7, 1849, in the Baltimore hospital. As the doctor who watched the writer in his last days stated, Poe was delivered to the hospital on October 3, 1849. Disoriented in space and time, the man was wearing cast-off clothes and failed to remember his first or second name. The insane man was put into a room with barred windows. In a couple of days, Poe did not come to his senses. He was suffering from hallucinations and cramps, mentioned his deceased wife, and repeated the name of some Reynolds whose personality was never identified. Four days after the hospitalization, the poet passed away. His last words were: “Lord, help my poor soul.” All medical records including Edgar Poe’s death certificate disappeared. The newspapers explained the writer’s death by the brain disorder and central nervous system inflammation. In the 19th century, these diagnoses were often present in people who died of alcoholism. What really caused the world’s literature legend’s death is still unknown. The funeral ceremony where only a few people were present took place on October 8, 1849. Poe was buried at the Baltimore Westminster Cemetery in a cheap coffin without handles, nameplate, blanket, and pillow. On October 1, 1875, the writer’s remains were replaced to the grave closer to the cemetery entrance. Besides, Poe’s fans invested in the writer’s monument.